So I realized the other day that I haven’t written a post in like 3 weeks? Sometimes life gets busy, so figure. So what’s going on with me you may wonder? Actually, you may not wonder that at all, but I’m going to tell you anyway. The most exciting thing that’s happened recently is that I just had my birthday! Whooo….I’m officially old. No but really, I had a really nice day doing things with friends and family and I got some fantastic gifts, including a few from my list I posted at the beginning of July! This doesn’t actually look like me at all. showed up on my doorstep the day before my birthday, because I wasn’t expecting them until fall. 🙂 If you’d like to see the patterns I submitted, you can actually find them for free on Ravelry under the username “kaityh1”, or on my crochet blog (which hasn’t been updated in a year, I know, I’m a terrible person) both here and here. Or, if you want to actually buy the calendar for next year, you can buy them on Amazon for $13.49. Spiffy right? Anywho, it’s about time to get back to my exciting life of postal work and housesitting! Au revoir! 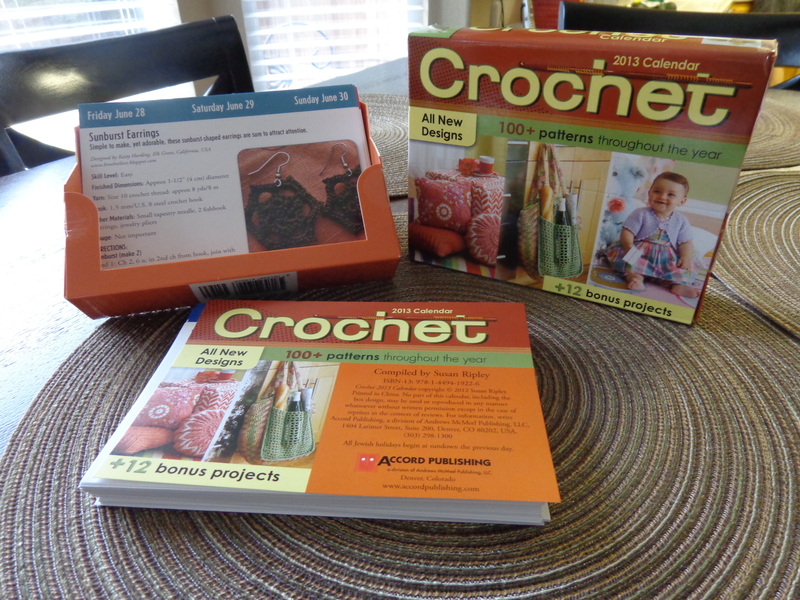 This entry was posted in Uncategorized and tagged amazon, birthday, books, calendar, crochet, knitting, pattern, presents, ravelry by Kaity. Bookmark the permalink.